Compact TM-V708A Mini-manual. Size, 4.5x8 inches. Twelve high-quality laminated pages, loaded with detailed instructions. 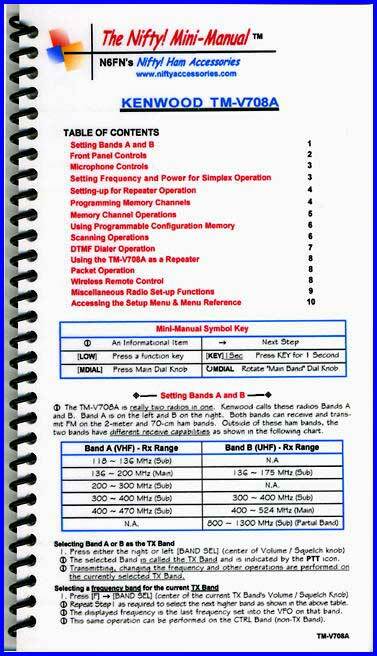 Short form procedures for setting-up and operating this 2 Meter / 70cm transceiver. Covers all features available on the TM-V708A.